Promises to clean up lead and other toxic waste has done little to calm the fears of people living in the shadow of the now closed Exide battery-recycling plant in Vernon, according to a just released survey. Three out of four households surveyed during a massive volunteer outreach effort June 10 said they are concerned that they or someone in their home might get lead poisoning or cancer from the high levels of hazardous chemicals spewed from the plant for decades, the unscientific survey found. More than 1,500 workers visited 16,000 homes in Bell, Boyle Heights, Commerce, Maywood, East Los Angeles, Huntington Park and Vernon and over 4,200 health surveys were completed during the June 10 outreach event, county health officials reported last Friday. “The results from the survey are alarming,” County Supervisor Hilda Solis said in a statement pointing out that there are large numbers of children and pregnant women living within the 1.7 mile radius targeted as having the highest potential for lead exposure and contamination. “For far too long, people around the Exide plant suffered the consequences of lead and other chemical contaminations. Our residents living near Exide deserve better monitoring and follow-up, and we will continue to work with our Department of Public Health and residents to ensure that the necessary clean-up efforts move quickly for the health of our communities,” Solis said. —Nearly half of households reported there are children under 6 years old who live or spend time in the home or yard. —65% of households reported that their yards were tested for lead. More than half reported that they have not received the results from soil testing. —Nearly half of the households reported they are not satisfied with the progress of the clean up activities. The results of the survey were no surprise to community and environmental justice activists who have long complained that state regulators are moving too slowly to complete the clean up work. “We’re counting on our elected officials to help us get the lead out of our neighborhoods, so that residents do not continue to be exposed to a known hazardous chemical,” Monsignor John Moretta of Resurrection Church in Boyle Heights was quoted as saying in a statement released by county health officials and Solis’ office. The survey results show “The California Department of Toxic Substances Control continues to fail these communities that have borne unconscionable health and safety burdens,” said Gladys Limón with Communities for a Better Environment, “The state has the legal and moral duty to swiftly clean up the contamination and provide necessary health services,” she said. All three activists called for urgency in completing blood and soil testing and the decontamination process. “The survey highlights the need to act with urgency to prevent exposure to continued high levels of lead,” agreed Barbara Ferrer, PhD, MPH, MEd, director of the county’s department of public health. DTSC is in the process of finalizing the required Environmental Impact Report (EIR) for the decontamination process and in January the agency expedited the clean up of properties with the highest risk, including homes with children that tested positive for higher than acceptable levels of lead. The agency will hold “office hours” today in Bell and in East Los Angeles on Monday, at which time they will help explain testing results to residents and answer any questions they may have. Another session will be held July 18 in Commerce; more details can be found in EGP’s Community Calendar. Gov. 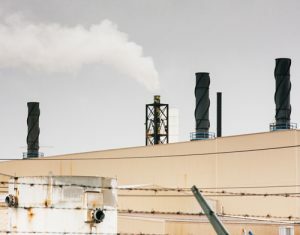 Jerry Brown earlier this year signed legislation providing $176.6 million in funding for environmental testing and cleanup work in neighborhoods surrounding the now-shuttered plant.